Before the Amazonian Princess Diana became an American icon, superhero, and the most successful female comic book character, she was still a warrior. 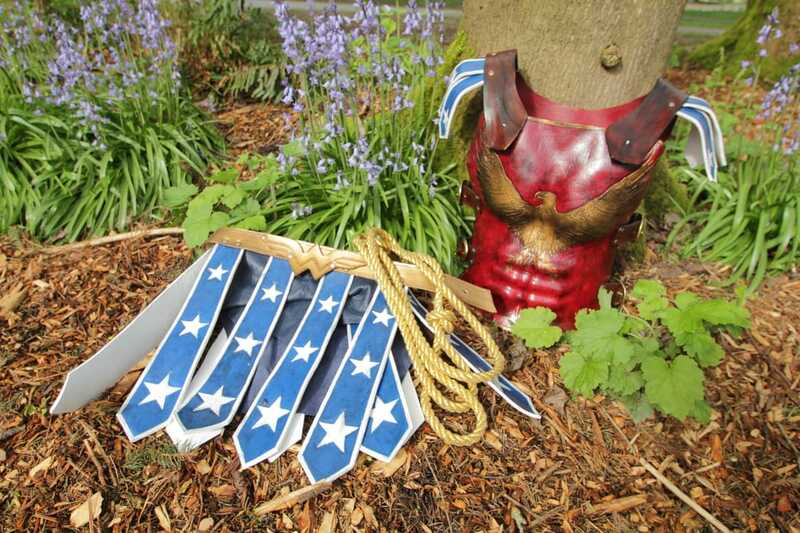 In honor of that I, Willow of Leather Works by Willow crafted this leather cosplay armor for my girlfriend, Erin who has always wanted to be DC Comic’s most iconic female character, Wonder Woman. I feel like we spent a whole month discussing this costume in it's every detail before I cut a single piece of leather. This was the first costume where I worked in close collaboration with someone else. She premiered her cosplay at Seattle's Emerald City Comic Con (ECCC) 2016. This cosplay isn't based off of one of Wonder Woman's established costumes, but a design that fits what I think she would have worn on the fantasty island of Themiskyra or Ancient Greece. Now I understand that the origin of Wonder Woman's signature costume is based off the American flag and American symbolism, to show that she comes in peace. But I chose to see the American influence as a work of art, and like art I chose to take liberties through an artist's interpretation. Below are the photos of both in progress and finished pieces.